Phil says he's still pretty weak but, he is back home again following the treatments. In early October, he had been released from the hospital however, he wasn't able to mingle with the general public while waiting for his immune system to get working again. The healing process is slow but, positive. Phil's response to the strong chemo and stem cell treatments were pretty much the last hope so, the fact that each report from him is one of progress, we're all happy to see him getting better. Monday, his doctors reported that he was doing very well and believe that he is now cancer free. The best news yet! The stem cell doctor said he didn't need to see Phil again for 100 days. This is the news we've all be waiting to hear since last year. Phil was diagnosed with Hodgkin's Lymphoma last year. Upon rounds of chemotherapy, his condition was thought to be under control and he could begin a stem cell transplant program. However, a new drug that was given to aid in the process had reverse effects and the cancer cells, thought to be in remission, multiplied. Prior to the stem cell treatment, Phil reported, "Found out today that my cancer is responding very well to my new chemo, and a large portion of it is gone. What remains has shrunk by almost 50% in size and is being killed by the chemo. Gonna have 2 more rounds of chemo, then another PET scan. Starting to see some daylight. Thanks for all the prayers, and give God the glory!" That success was, however, short lived and the cancer did return. Obviously, any treatment that takes months and months is also expensive and, in Phil's case, that is certainly true. 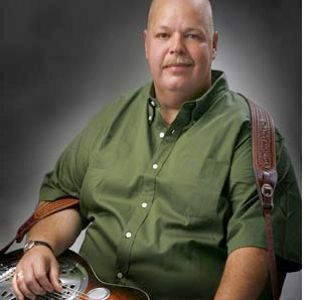 There have been many benefits to help with his mounting medical bills and even his label, Pinecastle, is offering Phil Leadbetter Benefit Packages of his albums and music. We want to remind our readers that they may also contribute to assist Phil at the Uncle Phil Fund website. Anything at all will certainly help and yes, the site is still up and running.